In an age of streaming services, there are still many passionate listeners off all generations that like to stockpile their music library, and it’s especially convenient if it’s free, Check our collections of top 10 free websites to download music online. MusicPleer stood out throughout the years where many websites offered their free and paid services to get the music you like. It serves its purpose as a convenient downloader and aggregate and with over million monthly visits it is the biggest music sites on the internet. If you’re looking for a similar place to seek out a tune you feel you are missing from your library – Whether you are a mainstream pop junkie or an indiehead, this article may prove to be extremely useful. Here is the list of 10 places like MusicPleer where you can listen and download tracks completely free of charge. 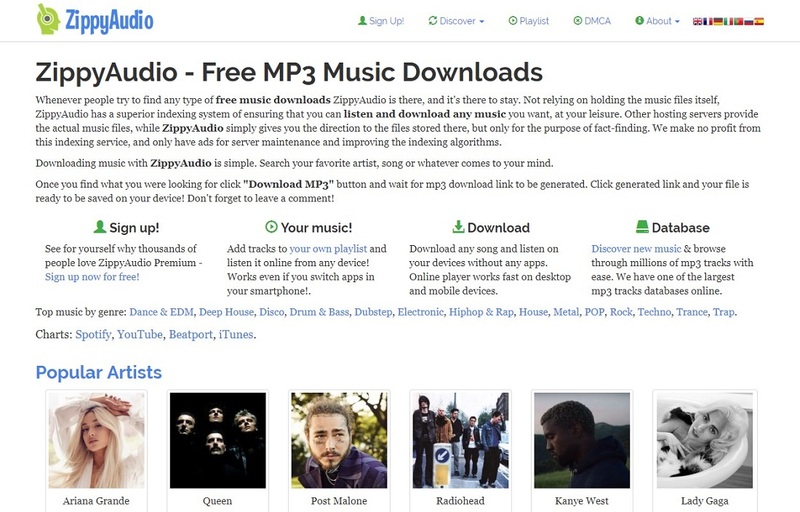 ZippyAudio is probably one of the top dogs in the free online music downloader’s world. Unlike MusicPleer, it has its own storage and when you download, you download directly from the website. What is amazing with this place is that it has its own player, which is a great add-on, and you can browse the rest of the database while listening to songs. It also has a great list of top tracks by genre so even if you don’t know what you’re looking for you may still unearth some great gems. You may find everything – from EDM to folk. The only downside of the website is that its, understandably, littered with annoying pop-up ads which may drive you nuts sometimes. It is a small click-worthy price to pay for an easy-to-use top mp3 downloader. Emp3r is a respectable search aggregate that has some convenient lists you may like, such as Top100 Billboard chart, most popular lists in India and top 50 most popular songs over the world. It has also an option to search and download whole albums, which is not possible on many websites of this kind. Although it would require a little bit of texting and proofreading, this website offers a great library, solid sorted and frequently updated lists and a nice outlook. 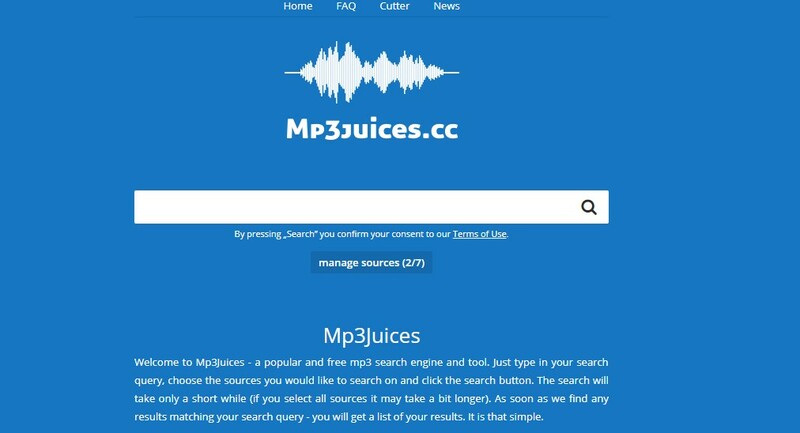 If for some reason you can’t access MusicPleer MP3 Juices is a website which has basically the same structure and purpose. It’s a YouTube search engine and downloader (just like MusicPleer) so any song or video that you can find on YouTube you will able to find on this website. The advantage of this tool compared to various Youtube downloaders online is that there are no copy/pasting of links etc and it works really smoothly. Everything is in one place – search, play, check quality and download. This website also has a useful option called ‘cutter’ where you may upload and cut off the soundless parts of any .mp3 file from the beginning or end of the song. 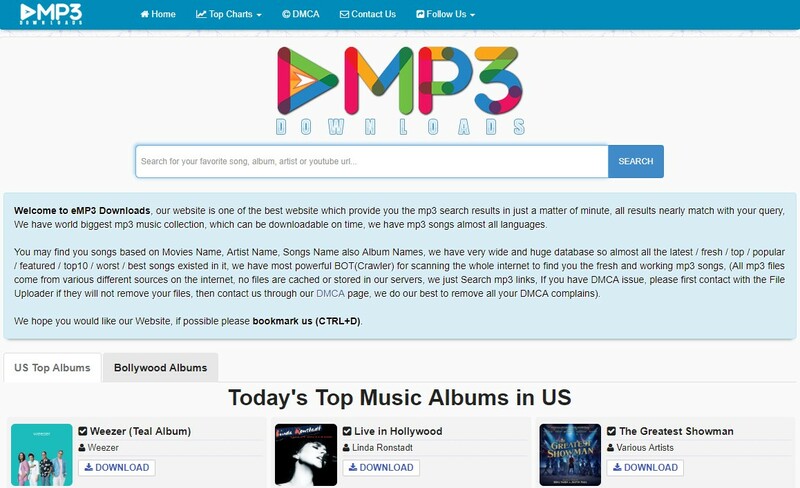 BeeMp3 is also one of the old-timers online that has a database of hundreds of thousands of songs. On this website, you may find a list of top 20 artists and songs, but you may as well see what is currently being downloaded, so you may find out some cool, new stuff to listen to. It still has a similar aesthetic as many years ago and the look and feel of the website may be too traditional to some but it serves its purpose well. It’s a worthy MusicPleer alternative. This website is an odd one on this list but, believe me, if you have the patience to dig through Vietnamese (or you’re a Vietnamese yourself) you will have an awesome time here. This is a brilliant downloader that is also self-hosted, so it isn’t an aggregate but more of an mp3 storage. 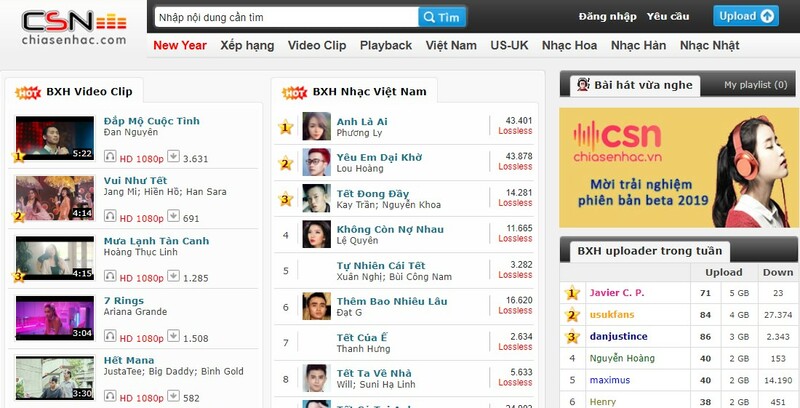 Even though it’s primary niche are Viatnemese songs and artists, you may find hundreds of thousands popular and not-so-popular music to download there. What is even better – a lot of music is listed by quality, and you will find a lot of .flac format files there, which are much bigger in size, but also of incomparable quality. Another cool stuff is that there are added lyrics to most of the songs you want to listen to or download. MyFreeMp3 has its good traits and it is definitely worth visiting for the people who know which banger they are looking for. This website is a straightforward search engine which doesn’t offer any lists, sorting or filters – you have to know what you want. Its search engine is pretty quick and it will show the size of the file, and the quality in kbps. You can listen to the song before you download it and the download speed is rapid and easy. You will often have many choices of the same song so you can always pick what you like. This website offers an interesting trait – which is sharing via WhatsApp as an option, so you can use your mobile phone to share and download music. It is a perk that you will not see in the aforementioned websites. 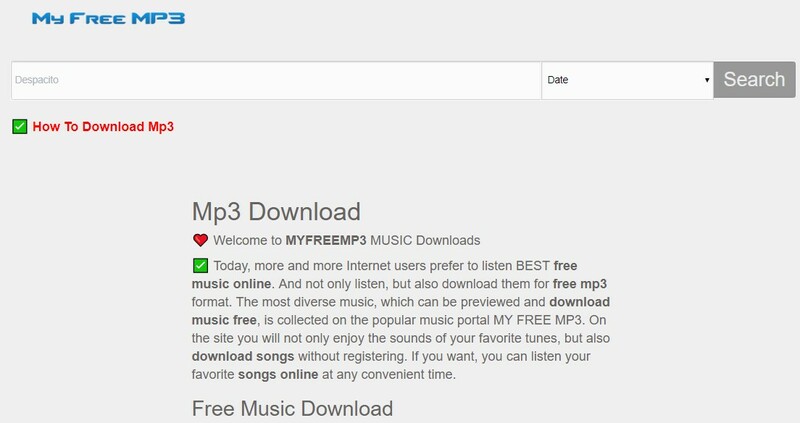 Similar to Mp3Skull, Freedsound and others will use third party mp3 converter to download the files from YouTube. It has a nice, simple landing page and offers a chart list of most popular downloads. You can always consult this list if you hit a dead-end in your music search. Mp3Hunter is also using the same Youtube mp3 converter technique to download files to your HDD, which is probably the most used way of getting mp3s today. 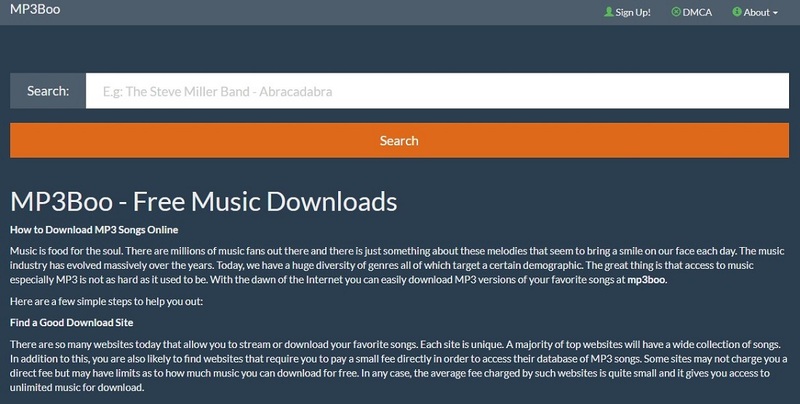 It offers nothing different from other MusicPleer alternatives but is a good place to keep in mind if anything happens to the other sites, or the layout and speed of this website might attract you more than its counterparts. Mp3Boo is more resemblant of ZippyAudio since it has similar search, a great database and amazing song quality which you can first listen to and then download. It searches a lot of third-party places where you can find various tracks and playlists and offers you a chance to check the quality before downloading. It is one of the easiest and quickest ways to get all the music that you want, and you will probably find around 90 percent of the tracks that you are looking for there. Other than this list and websites, it would be great to check some software that is most commonly and gladly used by the music lovers around the globe. Most notable would be Deezloader and SoulseekQT which work as file downloaders. Deezloader will download music directly from Deezer to your device, and Soulseek is a file-sharing software where you will probably find the most different music with the highest quality. If you have some other recommendations, or you think some of the websites here are surplus or you have some experience with it, feel free to comment and share your opinion.